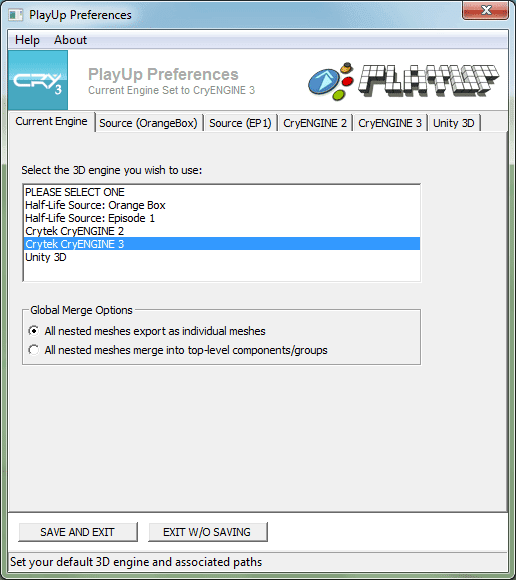 Both CryENGINE and Unity3D exporters now have a new global merge option available in the preferences that allows you to choose between exporting every component/group as it's own mesh, or collapsing all nested meshes into the top level component or group. For example, if you have a component of a dining room table but you would like the chairs and table to be separate entities in your game engine, you could select "All nested meshes export as individual meshes" in the preferences window and export as a level. 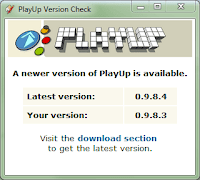 And finally, there is now a way to check from within SketchUp to see if you have the latest version of PlayUp. 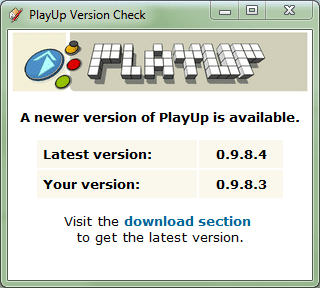 Simple go to Plugins > PlayUp > Check for Updates.